Grand Central Publishing, 9780446570978, 432pp. 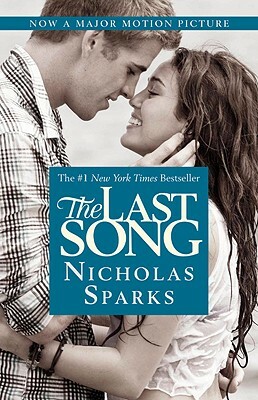 From the #1 New York Times bestselling author of A Walk to Remember, a heartwarming story about family connection and first love, in which a rebellious teen's life is upended when her divorced parents spend the summer together in a North Carolina beach town. Seventeen year old Veronica "Ronnie" Miller's life was turned upside-down when her parents divorced and her father moved from New York City to Wilmington, North Carolina. Three years later, she remains angry and alientated from her parents, especially her father...until her mother decides it would be in everyone's best interest if she spent the summer in Wilmington with him. Ronnie's father, a former concert pianist and teacher, is living a quiet life in the beach town, immersed in creating a work of art that will become the centerpiece of a local church. The tale that unfolds is an unforgettable story of love on many levels--first love, love between parents and children -- that demonstrates, as only a Nicholas Sparks novel can, the many ways that love can break our hearts...and heal them.